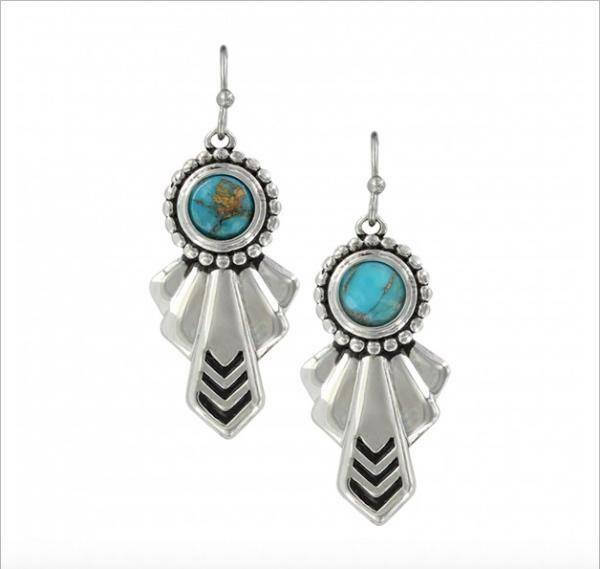 A set of uniquely designed earrings that have a small round cabochon of copper infused turquoise set in a smooth silver finished frame with outer edge of antiqued silver tone beads, like small flower petals. Five rays stretch out from the bottom of the 'flower' with three chevrons emphasizing the lower edge of the largest ray. Hand applied paint accentuates the design elements. 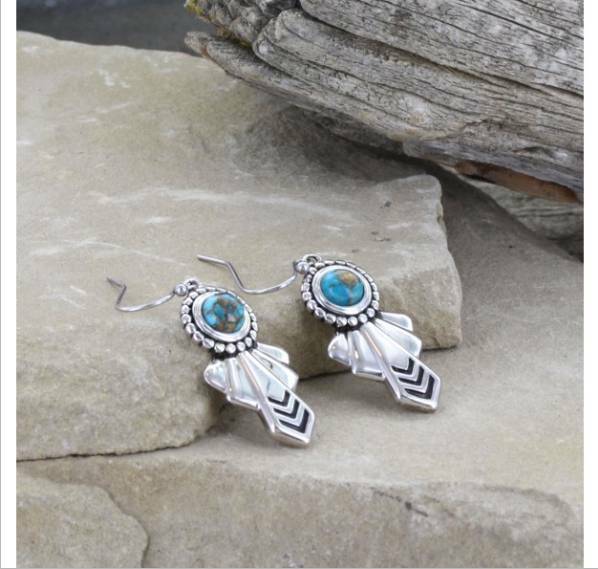 Earrings sway from hypoallergenic French hooks.